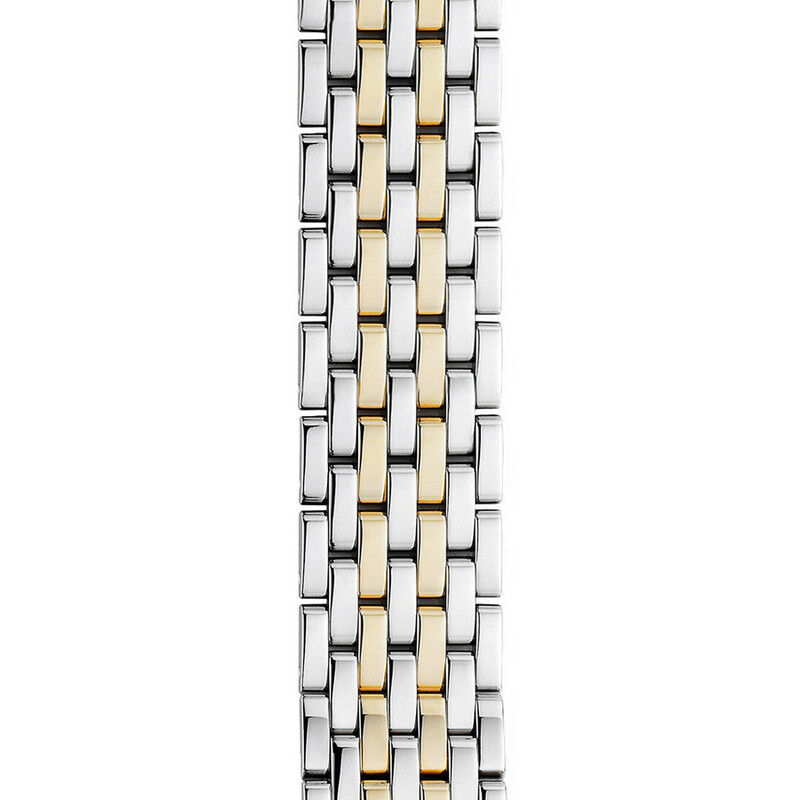 Michele Watches creates this fine 7-link bracelet watchband. This bracelet has five rows of stainless steel and two rows of gold-plated stainless steel to create the two-tone look. This watch strap fits Deco watches. Changing out Michele watchbands is a great way to change your style! The 10-day JR Dunn satisfaction guarantee accompanies this Michele watchband.